Dimensions Variable (DV) is a project lead by artists committed to the education, presentation, and support of contemporary art in Miami. Dimensions Variable (DV) is a project lead by artists committed to the education, presentation, and support of contemporary art in Miami. Through a supportive community, DV provides studios, curates exhibitions, produces external projects, publishes content, hosts discussions, develops education, and organizes events that engage the community and support challenging and experimental art practices. Frances Trombly was born in 1976 in Miami, FL where she currently lives and works. She received a Bachelors of Fine Arts from Maryland Institute College of Art, Baltimore, MD. Selected exhibitions consist of Frances Trombly: Over and Under at Locust Projects, Miami, included in Americana: Formalizing Craft, Perez Art Museum Miami, and united states, The Aldrich Contemporary Art Museum, Ridgefield, CT. Her work has been featured in various publications including The New York Times, Art Papers, Sculpture Magazine, Surface Design Journal, and The Los Angeles Times. 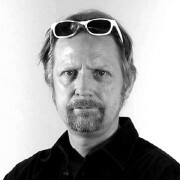 Trombly’s work is in permanent collections of the Perez Art Museum Miami and Museum of Contemporary Art, North Miami, Florida among other institutions. She is represented by Emerson Dorsch, Miami, FL, and Shoshana Wayne Gallery, Santa Monica, CA. 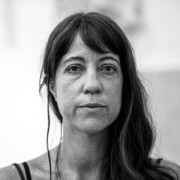 Frances also co-directs Dimensions Variable, an artist-run exhibition space in Miami, FL. Leyden Rodriguez-Casanova was born in 1973 in Havana, Cuba and currently lives and works in Miami, FL. Select exhibitions include The Center for Architecture and Design, Miami, FL; Factoria Habana, Havana, Cuba; Alejandra von Hartz Gallery, Miami, FL; ZONA MACO Arte Contemporaneo, Mexico City, Mexico; Museum of Contemporary Art, North Miami, FL; Prosjektrom Normanns, Stavanger, Norway; Museo de Bellas Artes, Havana, Cuba; Bass Museum of Art, Miami Beach, FL; Abrons Arts Center, New York, NY; Shoshana Wayne Gallery, Los Angeles, CA; Locust Projects, Miami, FL; Frost Art Museum, Miami, FL; David Castillo Gallery, Miami, FL; Casas Riegner Gallery, Bogota, Colombia; Socrates Sculpture Park, Long Island City, NY; Sculpture Center, Long Island City, NY; Fredric Snitzer Gallery, Miami, FL. His work is in the collection of Sayago & Pardon Collection, San Diego, CA; Alfredo Hertzog Da Silva, Sao Palo, Brazil; Cintas Foundation Collection, Miami, FL; The Pérez Art Museum Miami (PAMM), Miami, FL; Capri Palace, Capri, Italy; Cisneros Fontanals Art Foundation (CIFO) Miami, FL; and more. 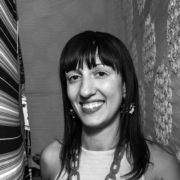 Anita Sharma is a Visual Arts Archivist who is based in Miami. She received a B.A. in Art History and Psychology at the University of Miami and an M.A. at the University of London, School of Oriental & African Studies (SOAS) in South Asian Art History. Over the last twenty years, she has focused on the areas of Visual Arts Archives and Collections Management, specializing in digital archives, metadata management, documentation and artist archives. 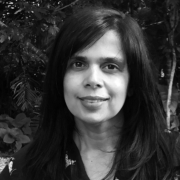 Anita has worked in both public and private institutions including the British Library’s National Sound Archive and SALIDAA (South Asian Diaspora Literature & Arts Archive) in London where her interests in community-based archives and digital preservation efforts began. In the US, she worked with various art collections including the Shumita & Arani Bose Collection in NYC as Head Archivist, the Bose Archives, the Rubell Family Collection in Miami, and most recently as the Collection Manager at the Debra & Dennis Scholl Collection. Recently, Anita received a Wavemaker Grant to research and develop the Women’s Artist Archive Miami, a user-driven, online digital archive platform to document, preserve and bring the creative practices of women artists in Miami to the forefront. Laura Marsh is a fiber artist with a socially engaged practice. Her banners, weavings, and installations contain feminist and political quotes, mottos, and emblems that reflect cultural values and belief structures. From two generations of women who sew, Marsh practices an accessible and hands-on tactile approach. She invites viewers to enter, touch, and be immersed in the work. Originally from rural, Montrose, Pennsylvania, Marsh has watched her hometown transform into a fracking region. Marsh received her MFA from Yale University School of Art and a BFA from the Cleveland Institute of Art. Marsh has exhibited nationally at venues including Locust Projects in Miami, The Whitney Museum of American Art, Printed Matter, Field Projects, Newman Popiashvili Gallery, and Tilton Gallery in NY. She is the Curator of Exhibitions at the Art and Culture Center in Hollywood, FL. 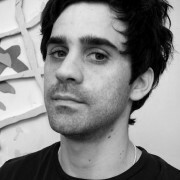 Juan Pablo Garza was born in Maracaibo, Venezuela (1980). He currently lives and works in Miami. Garza´s work has been exhibited in countries like Venezuela, Colombia, Peru, Chile, Mexico, Canada, United States, Spain, Holland, and Germany. His solo show Reforma del Ahora (Al Borde. Maracaibo, 2012) was published in Artforum as one of the best exhibitions of the year according to curator Sofia Hernandez Chong Cuy. 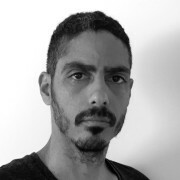 He was co-founder and co-director of the Contemporary Art Space Al Borde (2010-2014) in Maracaibo, which in 2012 won a grant from the Fundación Cisneros/CPPC within its program to support cultural organizations. Garza was selected to participate in the residency program Skowhegan School of Painting and Sculpture, with a grant from the Fundación Cisneros/CPPC. Most recently has participated in Ox-Bow fall residency program and Bemis Center residency program. In 2018 Garza finish a two-year studio residency at Art Center South Florida. and Dan Mikesell, Miami to name but a few. Dimensions Variable (DV) was founded in 2009 by artists Frances Trombly and Leyden Rodriguez-Casanova. After sharing a studio donated by Craig Robins of Dacra in the Miami Design District, Frances and Leyden decided to open an official project space named after a short-lived blog they created a year before called Dimensions Variable. They designated the front area of their studio space as a small gallery and started inviting artists to produce site-specific projects. On September 8, 2009, DV opening its first project—a two-person exhibition titled Build-up with Shane Aslan Selzer and Tom Scicluna. During our time in the Miami Design District, many projects were presented by Agustina Woodgate, Domingo Castillo, Felecia Chizuko Carlisle, Daniel Milewski, Felice Grodin, Samantha Salzinger, Magnus Sigurdarson, and more. In 2011, DV was awarded a John S. and James L. Knight Foundation, Knight Arts Challenge Grant. The Grant allowed us to collaborate more with other partners like The Fountainhead Residency and Cannonball to bring more international artists to Miami. In 2012, DV became nomadic due to the progressing development in the Miami Design District that was reclaimed our space. We worked with the Miami Design District to collaborate on projects around the district until we secured a new home. Finally, in September of 2012, we secured a new donated space and studios from Miami World Center in Downtown Miami. This new warehouse complex was shared between several arts organizations and named Downtown Art House. This new space came with a larger gallery allowing artists to produce more ambitious projects and letting us program larger group exhibitions. Artists invited to this new space included Julie Hill, Antoine Lefebvre, Carolyn Salas, P. Scott Cunningham, Jude Broughan, Goran Tomcic, Nicholas des Cognets, Mike Calway-Fagen, Janelle Iglesias, Tom Scicluna, Daníel Björnsson, Ragnar Helgi Ólafsson, Ingibjörg Sigurjónsdóttir, Anna Hrund Másdóttir, Ásdís Sif Gunnarsdóttir, Magnus Sigurdarson, Fabian Peña, Margrethe Aanestad, Elizabeth Withstandley, and more. In 2015, DV was awarded a WaveMaker Grant supported by the Andy Warhol Foundation for the Visual Arts, John S. and James L. Knight Foundation, and the Miami-Dade County Department of Cultural Affairs. We also organized successful fundraisers during this time further adding to our program’s budget. In the summer of 2015, once again DV was notified we would be losing our donated space. The Miami World Center development was moving forward and we need to find a new home. This presented a fork in the road for DV. Either we moved to a rented or donated space in the newly gentrifying neighborhood of Little Haiti or we continued to discuss new ways of donating space in already gentrified Downtown Miami. We felt it was important to collaborate with public or private entities to cultivate support for DV through donations. In our case, the donation of space. Luckily, we stirred the interest of Miami Dade College who responded to our proposals by donating a historic gallery on the 3rd floor of the MDC Wolfson Campus in Downtown Miami. In December 2015, an agreement was reached between DV and MDC securing an 8-year agreement for DV to occupy the historic Centre Gallery space. We were incredibly thankful to Jeremy Mikolajczak, Eduardo J. Padrón, and Alberto Ibargüen for making this historic relationship possible. For most of 2016, we spent it working out details and renovating the new gallery space in MDC. The new space had three studios and a large gallery with new lighting and extended ceilings. That December of 2016 we opening with a group exhibition called The Rest is History including the work of Margrethe Aanestad, Juan Pablo Garza, Jacin Giordano, Sabrina Gschwandtner, Ariel Orozco, Aurora Passero, Kerry Phillips, Leyden Rodríguez-Casanova, Robert Thiele, Cullen Washington Jr. and more. On February 2017 DV opened an amazing sight specific project by Bogotá Colombia based artist Leyla Cárdenas. Her project and Grand Opening event were well attended as we celebrated the new DV home and partnership with MDC. Throughout that year we supported a solo project by locally based Jamaican born artist Jamilah Sabur, Brazilian artists Berna Reale, collaborated with the students of the college, and ended the year with a group show called A Thread of Execution featuring the work of Indira Allegra, Samantha Bittman, Julia Bland, Diedrick Brackens, Pip Brant, Moira Holohan, Laura Marsh, Elaine Reichek, Carrie Sieh, Frances Trombly, and Margo Wolowiec. Unfortunately, the vision and innovation necessary to collaborate on a project like DV were not present at MDC and a short year later, the college canceled our contract. This was the hardest obstacle DV had ever been presented with. All our hard work for almost two years was destroyed in a few days. It was emotional. After some soul searching, we decided to press on. However, we were not alone, The Knight Foundation stepped up to help us grow and continue on. In 2019 DV will celebrate its 10th Anniversary and open a new space in Little Haiti made possible by our supporters and the vision of The John S. and James L. Knight Foundation. We look forward to welcoming everyone to our new space.